Ghost came to us scared and a little feral but boy did he change when he realized how much loving attention he could!. 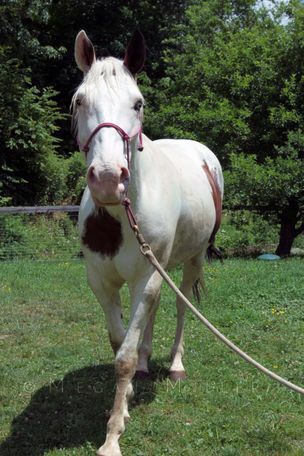 Ghost is a flashy white and brown paint with lots of chrome and two blue eyes. He loves his routine, he loves to be brushed and he will just stand with you and snuggle if you give him a chance. 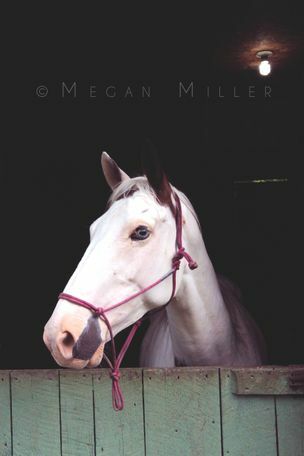 This is the horse that teaches people you don't have to ride them to enjoy them. 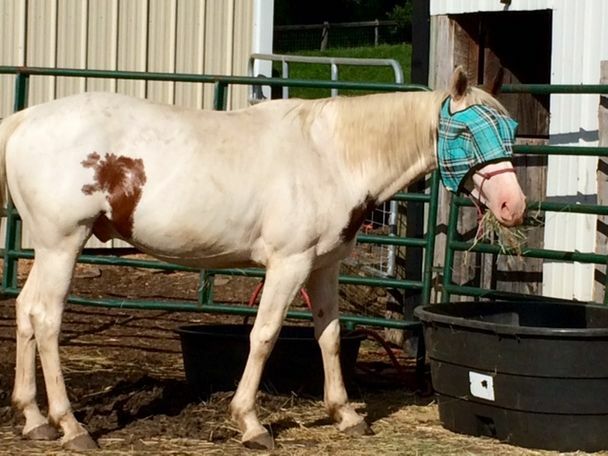 Ghost does have some special health needs but nothing that keeps him from living life to the fullest. Ghost is about 90% blind--but he runs like the wind when he is following his best friend. He has mild COPD that gets worse in the summer. 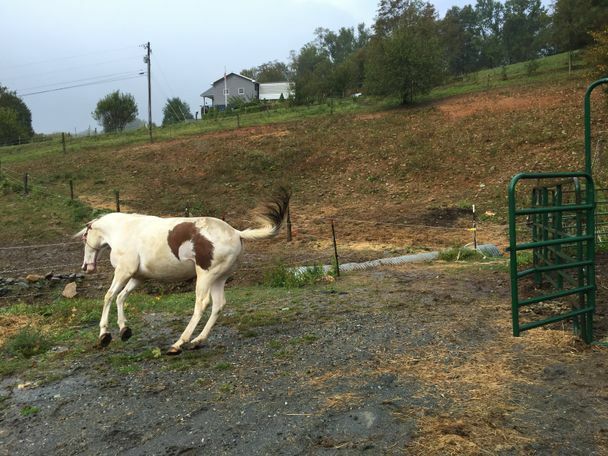 We keep Ghost on antihistamines and in the summer we keep him outside as much as possible and always wet his hay. That's all it takes to keep him healthy and happy. He needs a good buddy to play with in the pasture and someone who loves to pamper him and he will give you back so much. He forms strong bonds and is probably the sweetest horse in the barn once you've earned his trust.